Ever since he was little, Nathan has been exposed to art at home, school and Sunday school, and in the community from various family, friends, and teachers! He is now enjoying coloring with crayons and markers plus learning to focus on completing his artwork as well!! In our home, we love Marvel Super heroes from Iron Man, Thor, and the rest of the Avengers!! One of Crayola coloring sheets has Avengers Assemble theme which is great for Nathan's interest in super heroes, including Iron Man and Thor, which are both his favorites from Marvel!! 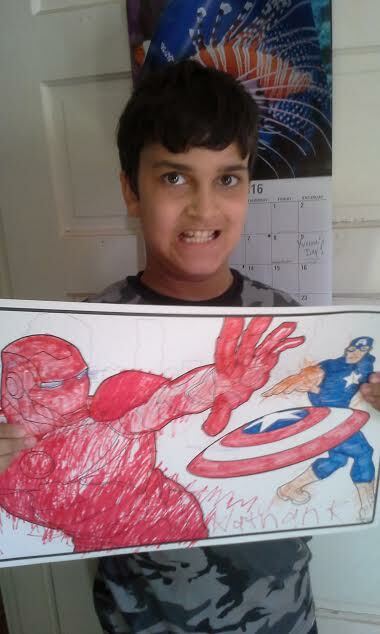 Above is one of his finished artwork featuring Iron Man all in red armor "playing catch" with Captain America! And of course, Nathan writes his name "Nathan K" to show the world that he did this artwork! I feel blessed as mom to see the growth and maturity of seeing my Nathan doing more coloring, drawing, and writing with less or no "hand over hand" instruction or guidance!! 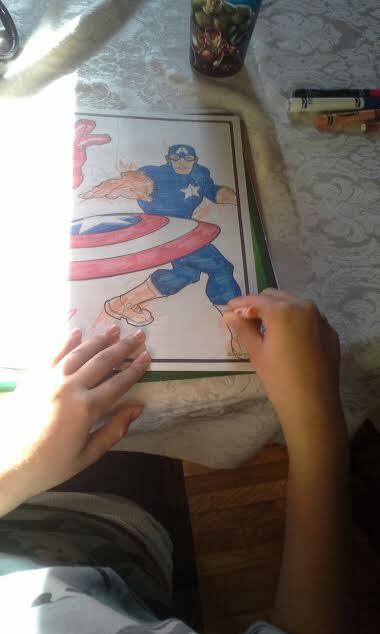 He is learning to color within the lines and no "white spaces" as well, such as coloring Captain America's "Timberlands" or as Nathan would say "Tims" entirely in brown! Another masterpiece featuring Thor and Hawkeye in which wanted Thor to look more like the pictures he has seen in books and first Thor and first Avenger Movies!! 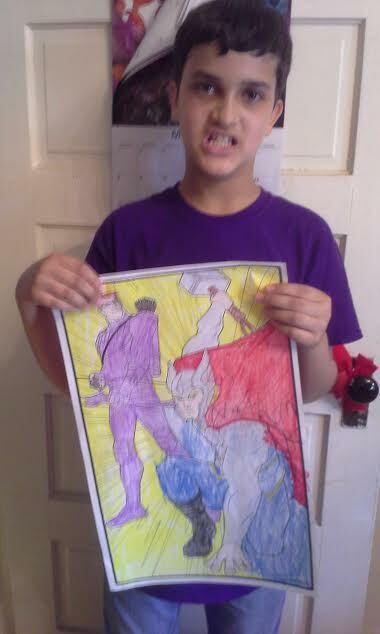 But he wanted the background to be yellow and Hawkeye in purple from head to toe!! 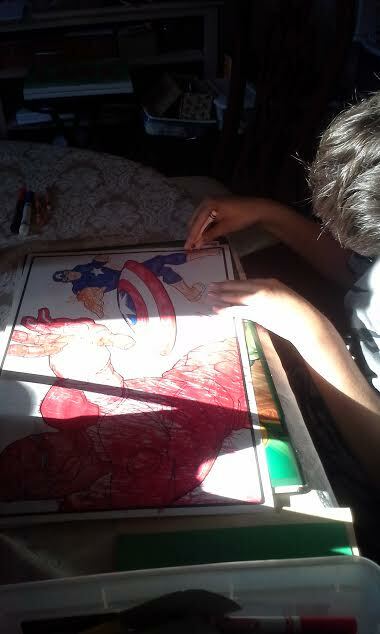 And now he wants to finished color all of his blank art sheets in his Crayola Avengers Assemble set!! I will continue to post Nathan's progressive in his artistic abilities through his artwork!! He's doing very, very well with his coloring! He shows a lot of control over the crayon. Wonderful art work. Yay Nathan!